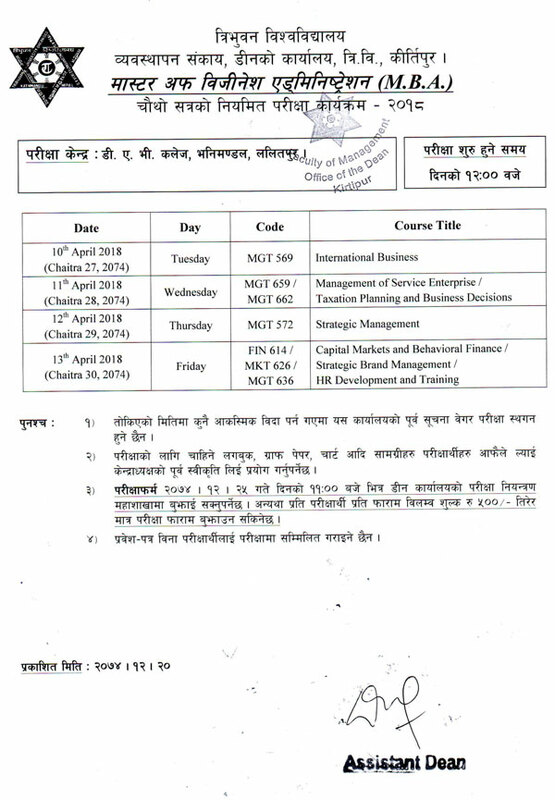 Tribhuvan University, Faculty of Management, Dean office, TU, Kirtipur has published 4th semester regular examination routine of Master of Business Administration (MBA)-4th Semester. As per notice, the examination of MBA starts from 10th April, 2018 and ends on 13th April, 2018. Examination will start 12:00 pm on-wards.